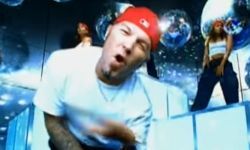 It would appear that the beef between Limp Bizkit‘s DJ Lethal and Insane Clown Posse‘s Shaggy 2 Dope has been put to rest and a WWE hall of famer is in part to thank for it. Lethal shared the following post regarding the matter made by retired pro-wrestler The Iron Sheik and agreed to call a truce. 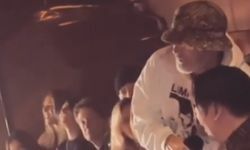 This latest post of course follows a since-deleted series of comments Lethal made calling out Shaggy 2 Dope after he attempted to drop kick Limp Bizkit frontman Fred Durst during the band’s performance in Camden, NJ this past weekend. In addition to unloading via that series of comments, Lethal himself also livestreamed his thoughts on the situation the day after the incident, with the below video having captured that. 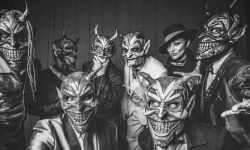 Shaggy 2 Dope‘s motivations in the failed attack remain unclear with the Insane Clown Posse camp apparently remaining quiet on the matter. 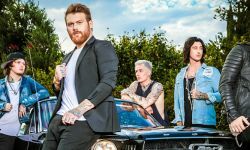 Asking Alexandria Debut Music Video For Acoustic Version Of "Alone In A Room"